HUNTSVILLE, Alabama -- The Huntsville-Madison County Athletic Hall of Fame's class of 2011 welcomes its sixth father-son connection this year when Mark Mincher joins his father, Don, a member of the inaugural class of 1989. Mark Mincher is the assistant principal, athletic director, math teacher and head baseball coach at Huntsville High School. His father, a Huntsville native who played 12 years in the major leagues, is a former owner of the Huntsville Stars, the current president of the Southern League, and a member of the Alabama Sports Hall of Fame. "It's special to be included in this prestigious organization," said Mark, "especially since my dad is a member. My father and grandfather were major influences on my baseball career. They introduced me to the game at an early age. My dad not only taught me the game but also how to play it correctly and how to compete. There were outside pressures associated with having a famous last name, but it was never a big issue because of the support I had at home. I was never pushed into playing anything. Mom and Dad were supportive and encouraged us to be the best, but never pushed us in any direction." Mincher, a 1975 graduate of Hazel Green High School, was a four-year lettermen in baseball, football and basketball, making All-County three years in baseball, twice in football and once in basketball. He attended college at Memphis State, where he was a four-year starter in baseball, appearing in two NCAA regionals and batting .270 for his career. After graduating with a BS in Math/PE in 1980, he earned an MA in Administration at Alabama A&M. He taught and coached two years at Monrovia Middle and three years at Sparkman High before going to Huntsville High as a teacher/baseball coach in 1985. Heading into the 2011 season, Mincher's HHS baseball teams had won 522 games against 323 losses, had won 12 city championships and seven area championships, and appeared 17 times in the state playoffs. 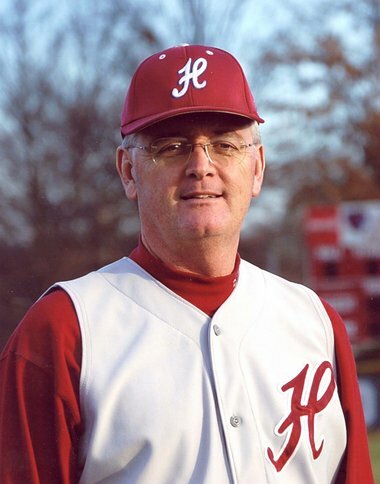 He has been named the county's Baseball Coach of the Year once, the city's Coach of the Year seven times and Metro Coach of the Year three times. Mincher and Nancy, his wife of 30 years, have two children: Wade, 27, a pediatric resident at Dell's Children Hospital in Austin, Texas, and Allyson, 24, an Auburn graduate who is the director of "The Little Gym." Allyson and her husband, Todd Murphree, have an infant son, Asher. "The biggest influence in my life has been Nancy," said Mincher. "We met the first day of class my freshman year at Memphis State and we've been together ever since. Before we got married, I told her I was going to coach. She said, 'OK, go ahead and get it out of your system.' She didn't realize that 31 years later, it would still be in my system." Profiles written by John Pruett, former sports editor, The Huntsville Times. Photos courtesy of Huntsville-Madison County Athletic Hall of Fame.